There's no denying that there's something a little bit magical about Ireland. Maybe it's because it's so green or that it's filled with rainbows… whatever it is, Ireland seems to be one of those places that almost always makes it onto bucket lists. My first trip to the Emerald Isle was back in 2007, and I've been back a handful of times since then. I've kissed the Blarney Stone, listened to music in pubs, and even celebrated a birthday at the Guinness Storehouse in Dublin (which, yes, I realize is extra funny since I don't even drink beer). But other than a brief trip in 2013, I hadn't really spent any time in the six counties that make up Northern Ireland. 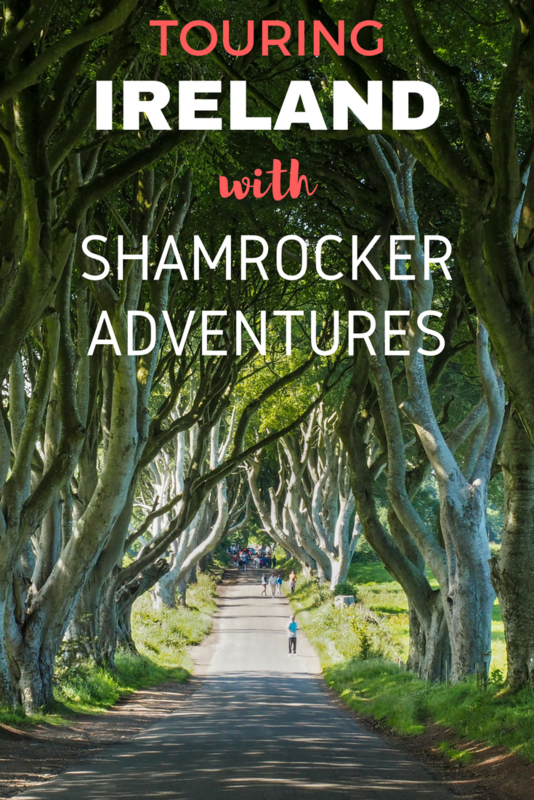 So when the opportunity came along to try out a tour with Irish company Shamrocker Adventures, I immediately knew that I wanted to go on their Giant's Rocker tour, which covers both Ireland and Northern Ireland. Shamrocker Adventures has two sister companies in Scotland, which you may remember me writing about before: Haggis Adventures and Highland Explorer Tours. Because I've loved all my Haggis and HEX tours in Scotland, I was confident that Shamrocker would deliver a similarly awesome tour in Ireland. We even had some sun! You can never be disappointed when there are castles, right? The Giant's Rocker tour that I did was 5 days long, beginning and ending in Dublin. We spent time in both Ireland and Northern Ireland, which is made possible by the fact that the island the two countries share is fairly small. Our tour started with a stop in Belfast, where we had the option to take a black taxi tour to a few different parts of the city in order to get a sense for what things were like during “The Troubles.” In case you're not familiar with The Troubles, they were essentially decades of tension and violent clashes that plagued cities like Belfast and Derry. Many people explain the conflict as religiously-charged, but really it all boils down to people on one side who want the Northern Ireland counties to go back to being part of Ireland, and the other side who want them to remain part of the United Kingdom. It just so happens that most of the pro-Irish side is Catholic and most of the pro-British side is Protestant, which is why religion is usually brought into the narrative. 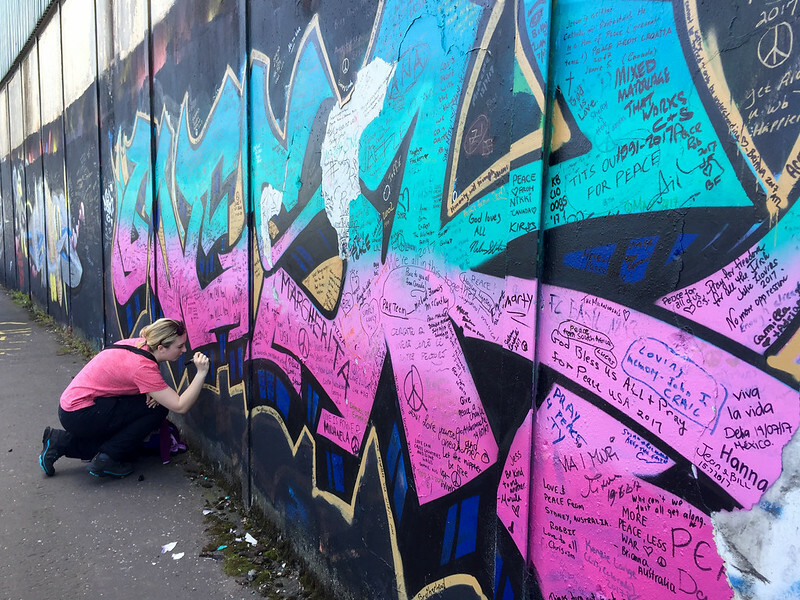 I wrote extensively about Belfast and its Troubles a few years ago, but hearing other stories and visiting more neighborhoods on both sides of the “Peace Wall” (because, yes, there's still a huge wall that divides both sides of Belfast) was still very interesting. On our way up to Ballintoy and the Causeway Coast, we made a stop in County Antrim at a site that has exploded in popularity in the last year or two because of “Game of Thrones.” Even though the Dark Hedges only appeared in one scene in one episode in one season of the show, the “Game of Thrones” effect has nevertheless begun to draw huge groups of tourists to this site every single day. I thought the black cab driving through really captured what this spot is today. Visiting in the mid-afternoon meant the lane was filled with people, cars, and even buses. But it was still pretty cool. We had some free time on the morning of Day 2, so myself and a few others from my group decided to walk from our hostel in Ballintoy to the Carrick-a-Rede rope bridge. 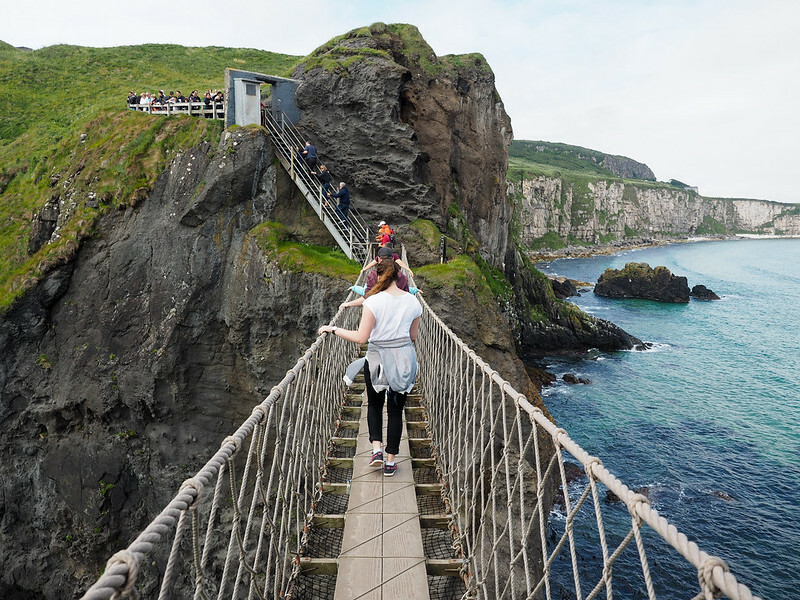 The bridge is now a tourist attraction maintained by the National Trust, but historically was used by fishermen who would go over to the tiny island of Carrick-a-Rede to fish for salmon. The bridge is pretty impressive, sitting about 100 feet above the crashing sea. If you're going to do this on your own, just know that you have to walk about a kilometer to reach the bridge from the parking lot, so be sure to allow yourself enough time! From Ballintoy, we headed a few miles up the coast to the famous Giant's Causeway, a UNESCO World Heritage Site and one of the most popular tourist attractions in Northern Ireland. 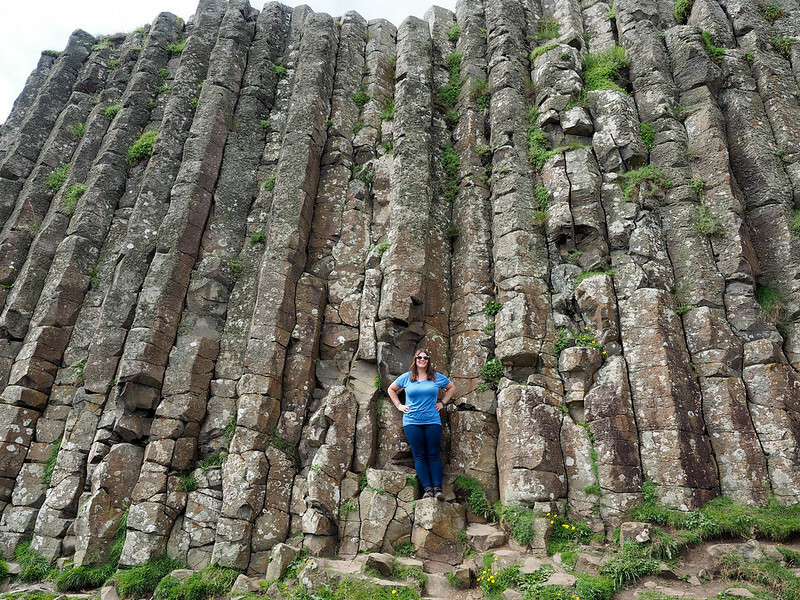 Here, cooling lava from ancient volcanic activity cooled into hexagonal basalt columns that look weirdly like steps. We had time to walk along the cliffs overlooking the coast, and then spend some time among the columns. Take time to listen to the audio guide, too, where you can learn of the myth of the giant Finn MacCool, who is said to have created (and destroyed) the causeway. We ended Day 2 in the city of Derry – or Londonderry, depending on who you ask. Derry has been known in most recent years as the main kicking off point for The Troubles in Northern Ireland, but also is home to the only completely intact ancient city wall in Ireland. Here we had the option of going on a walking tour with Derry City Tours, which covered everything from the city walls to the Bloody Sunday story and memorial murals. I had no clue what to expect from Derry, but actually really liked it. It's a city I definitely hope to return to. Back in the Republic of Ireland, one of the highlights of this tour came on Day 4, when we caught a morning ferry over to Inis Mór, the largest of the Aran Islands. Once there, you could rent a bike or go on a mini bus tour of the island to see its miles of stone walls, its cute villages, and the ancient Iron Age fort of Dún Aengus. Be prepared for two things: a rough ferry ride (seriously – just TAKE THE SEASICKNESS TABLETS ahead of time), and extremely changeable weather (both a raincoat and sunscreen will probably be necessary). On the way back to Dublin on Day 5, we stopped at the famous Cliffs of Moher for a couple of hours. We had just enough time to take a walk along the cliffs and grab a coffee in the visitor's center. It was windy and a bit hazy on this visit, but the cliffs are still incredibly impressive. Westport – A super cute Irish town where you'll have a lunch break. Connemara – You'll drive through the rugged landscape of Connemara, and stop at a local pub for an Irish Coffee. Galway – You'll spend two nights in Galway, which is probably Ireland's most lively music city. However, you really only have evenings free in the city. Be sure to head down to its pedestrian streets at night for food and live music. Who goes on a tour like this? Shamrocker Adventures targets younger travelers (think: backpackers), but they don't put any age limits on their tours. My group was made up of mostly Aussies (super common on tours in Europe), and I'd say the average age was probably mid- to late-20s. But we also had an older couple in their 70s in our group, which was so fun! Shamrocker uses hostels for their main accommodation option. There are a few private room upgrades available on each tour, but these tend to book up quickly and most people will find themselves in shared dorm rooms. In Ballintoy, we were in rooms of anywhere from 7-15 people, while the Galway hostel is more likely to give you 6-8 person dorms. In Derry, you get to stay in triple hotel rooms, which is a nice change! None of these accommodations are fancy, but they are all clean and central. You'll want to bring things like your own towel and toiletries for the hostels, and you may also want to bring morning snacks, because “free breakfast” in budget places like these usually just means juice and toast! Transport is provided in a private bus with a dedicated driver. The size of the bus will depend on the size of your tour group. My group was large (34, I think), so we were on a bigger coach. Meals are not included in this tour, though your guide will often offer to arrange group dinners at local pubs. Usually these are cozy local spots with hearty Irish food – and meals usually only cost about 10 Euro or so. If you want to join the group dinner, you'll just give your order to your guide (they usually pre-order all the pub food so you're not sitting there waiting for hours) and then pay at the pub. You're of course always free to go and do your own thing for dinner, too! If you're looking for a budget tour in Ireland, then Shamrocker Adventures is definitely for you. The base price for the Giant's Rocker tour is $549 USD per adult, which includes your guide, transport, accommodation in a shared hostel dorm for 4 nights, and entry to a few attractions. You can also pre-pay for the black taxi tour in Belfast and the walking tour in Derry when you book (OR you can pay for those as you go). The base price includes entry to Giant's Causeway and the Cliffs of Moher, along with the ferry to Inis Mór. When you add to this transport, accommodation, and a guide, it's a pretty good deal. What if I want to see more? Five days are definitely not enough in Ireland! If you want to see more, Shamrocker does offer more tours in the country, ranging anywhere from 3 to 7 days. The includes everything in the Giant's Rocker, along with visits to the Dingle Peninsula, Killarney, and Blarney Castle. And of course I always recommend tacking on a handful of days in Dublin at either the beginning or end of your trip, too! Should I book this tour? If you are on a budget, short on time, and/or don't feel comfortable renting a car to explore Ireland on your own, then YES, this would be a great option for you. Not only will you get to see so many of the highlights of Ireland and Northern Ireland, but you'll get to do it stress-free with a great guide and a fun group of other travelers, too! Looking for packing suggestions for Ireland? Head over to my Ireland packing list to see what you need to bring! Pick up an before you go. Would you consider a tour like this in Ireland? *Note: I was a guest of Shamrocker Adventures on this tour. But, as always, all opinions are 100% my own! It really does pack in all the highlights! Northern Ireland was part of my 2 week tour of the UK and Ireland last year. I enjoyed walking around central Belfast. The landscapes at the Cliffs of Moher and Giant’s Causeway are really awesome! At Giant’s, watch your footing as the rocks can be slippery and uneven in places. It’s not really all that different than Ireland, but Northern Ireland has so many epic landscapes! Ireland has a raw beauty and a special type of magic and charm which is what makes this country so interesting – and so much fun – to travel. It has coastlines comparable to exotic countries such as New Zealand and unique, one-of-a-kind landscapes. It looks like you had a fantastic time! I definitely had a great time! And it inspired me to go back to Ireland and spend more time in some of these spots, too. I adore the landscapes of Ireland so much more than the cities (apart from Belfast. Belfast is on a league of its own), and this tour seems to contain a lot of gorgeous sights. We really did see some of the best parts of Ireland and Northern Ireland! I was especially excited that this included both Giant’s Causeway AND Inis Mor – two of my favorite spots! Being the history nerd I am, Northern Ireland also fascinates me because of the very recent conflict there. Add to that all the amazing scenery, and it’s a very cool place! I need to spend more time in Belfast next time. I did Shamrocker’s Southern Rocker tour back in 2013 and LOVED it. Great experience with them in a small group as a solo traveler. I also, separately, went to Northern Ireland last year and really enjoyed Belfast and the Antrim Coast. Beautiful island with great scenery. Thanks for your post. Companies like this are so great for solo travelers – I’m glad I finally had a chance to travel with Shamrocker! Ireland was my first international trip, and very personal for me. I loved every minute, and regret nothing, but would like to spend more time in Northern Ireland. I remember the troubles, and was excited about Belfast, but should have planned a couple more days. It felt very comfortable there. Of course, we also loved the Causeway and the Cliffs, and the far southwest Skelling Ring. When we return, we will look into Shamrockers, because renting a car and driving in Ireland were both harder than expected! Even though Ireland is pretty small, there’s so much to see there! I never seem to allow enough time, either (but then I always seem to go back!). I absolutely love Ireland as my step-mum is half Irish and half English! Mind you, I don’t think she’s been to Ireland since she married my dad, although her Irish family always used to come over to visit! I’ve heard of Shamrock Adventures and you’re absolutely right, it’s spot on for those short on time. I took our son on a tour organised by me, around Ireland in 2007. He was 5 years old then so I just spoke to mates who were working for Visit Britain at the time, on where I should go, and booked everything independently, as with a young child it’s much easier…. We had a whale of a time starting in Belfast – Dublin – Galway (where he lost his teddy, but the cruise staff were brilliant and kept it for us) – the Aran Islands – Killarney – Kinsale – Cork – and back to Dublin again. I was supposed to go back to Ireland again this year, but I’ll be in the UK with family instead! 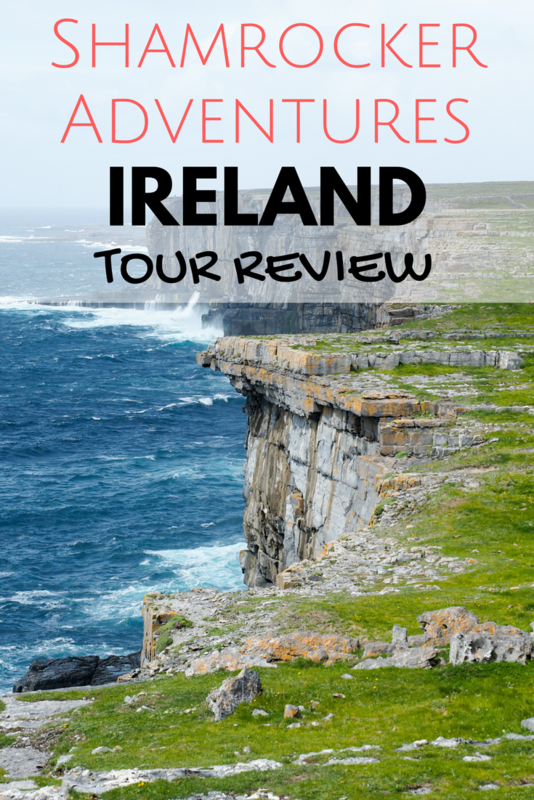 I plan to take my mom to Ireland next year and will be planning that trip independently, but a tour like this is great for a solo traveler or anyone short on time for sure (or just anyone who really hates planning travel on their own!). Absolutely. Your mum will love it! The black taxi really caught my attention. It looks so cute! This was a great way to see so many highlights in Ireland and Northern Ireland! I think it’s a pretty good deal, too. This is the perfect tour that I have been looking for. I have always wanted to visit Northern Ireland but I only have a tight budget. I’m glad to know that I can actually turn my dream into a reality. I really would want to visit the dark hedges featured on GOT and Carrick-a-Rede rope bridge. I hope to visit soon. Wow, looks like an amazing tour and perfect if you have little time to travel on tour own! I’ve been to some of the places you’ve mentioned, but would LOVE to go back now and see much more of Ireland & Northern Ireland!! Yes! Road tripping would be the best way to really see Ireland, but if you don’t have a lot of time and don’t really want to drive, this is a great alternative! 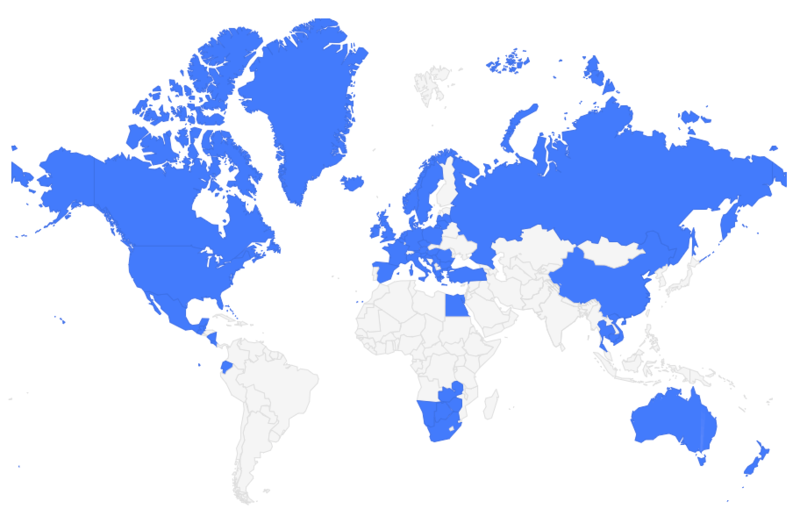 Наш полезный веб портал с информацией про коррекция ресниц киев.